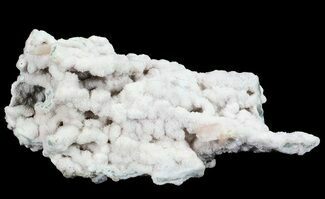 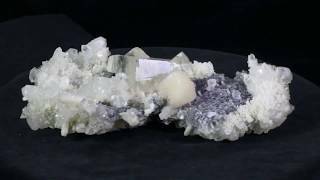 This is an incredible 8.8" wide mineral association, containing stilbite, apophyllite, quartz druze and a beautiful, large calcite crystal. 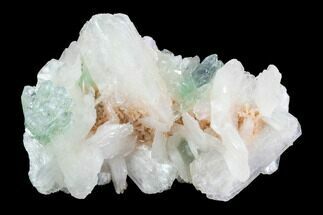 This was collected from Nashik in Maharashtra, India. 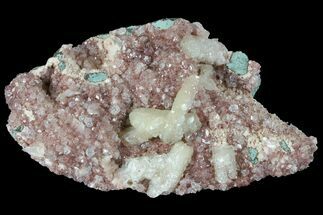 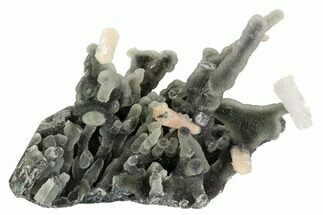 The stilbite is translucent, with some faint pink coloration. 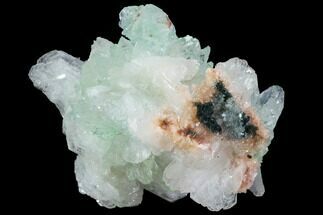 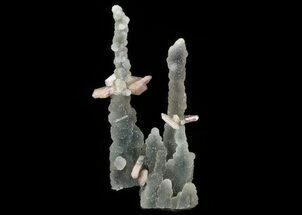 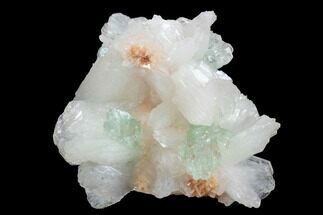 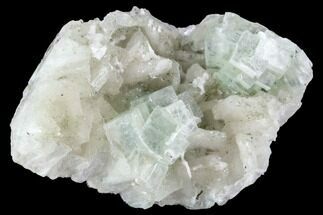 Most of the apophyllite formed as double terminated crystals with brilliant luster and clarity. 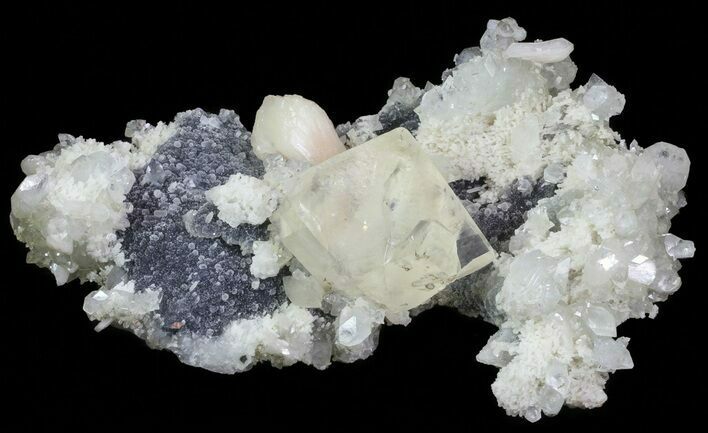 Quartz druze can be found surrounding all of the small stalactitic projections, and there is a massive, slightly yellow calcite crystal cluster in the center of the specimen. 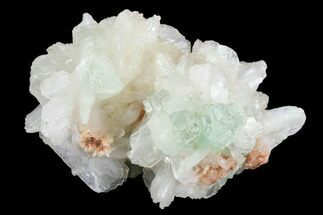 A truly wonderful specimen, perfect for any mineral collection.